Cooking tin foil pack lunches and dinners are the way to go to create flavor packed summertime comfort food meals any time of year! Meal prep and cleanup are quick and easy and the results are DELICIOUS suppers the whole family loves! 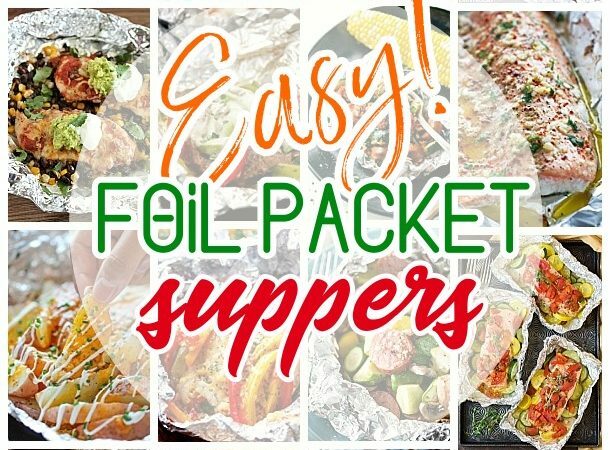 These foil packets dishes are the perfect recipes to bake in the oven, throw on your backyard grill or make ahead and bring along in your cooler for easy camping family meals! Baked or grilled, your meal will be deliciously cooked in its own juices for the most flavorful and healthier results. 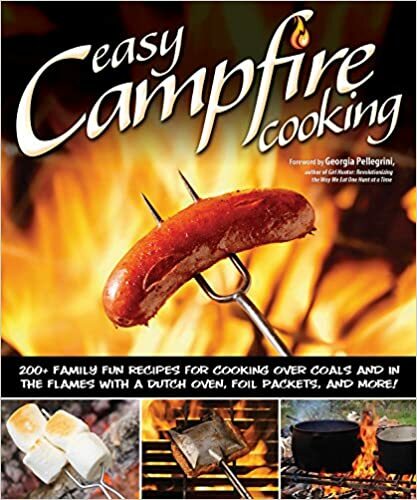 The perfect meal solution, whether you are camping and want to prep ahead at home to bring in the cooler to toss in the campfire coals, to mix up your weeknight oven baked meal rotation, to have a fun backyard cookout on the barbecue grill or your own backyard fire pit. These are sure to be crowd pleasers that even your picky eaters will love. Tin foil packet meals are easy to prep and cleanup is a breeze, so take some to the park and have the yummiest grilled picnic! The kids always get a kick out of making their own. Set up a foil packet bar on your kitchen countertop and let everyone create their own – adding the ingredients, meats and veggies THEY like and leaving out the ones they don’t! BONUS: no dishes to do afterward, you can just eat them right from the tinfoil packet! Brilliant, right? 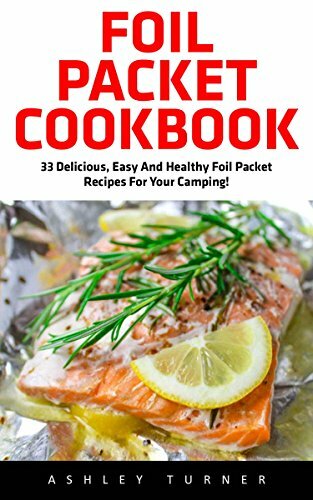 Make sure to PIN THIS IMAGE to keep coming back for MORE and more delicious tin foil packet dinners you and your family can enjoy making in the oven, throwing on the backyard grill or tossing in the campfire coals this summer! These recipes are all worth keeping! It’s been a long time since we went camping but that doesn’t mean I can’t prepare these recipes for the family! Every dish looks and sounds amazing. It’s not so difficult to put together either! 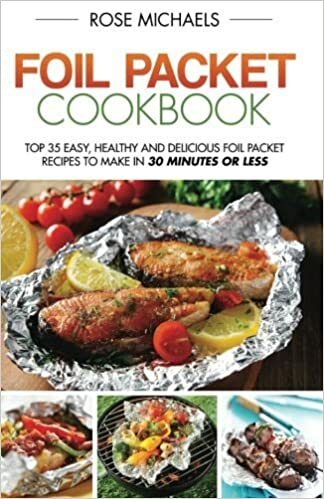 Great recipe collection, truly delightful. Thank you for sharing this with us. I definitely found what I’m making for dinner tonight … and many nights in the future. Thank you!